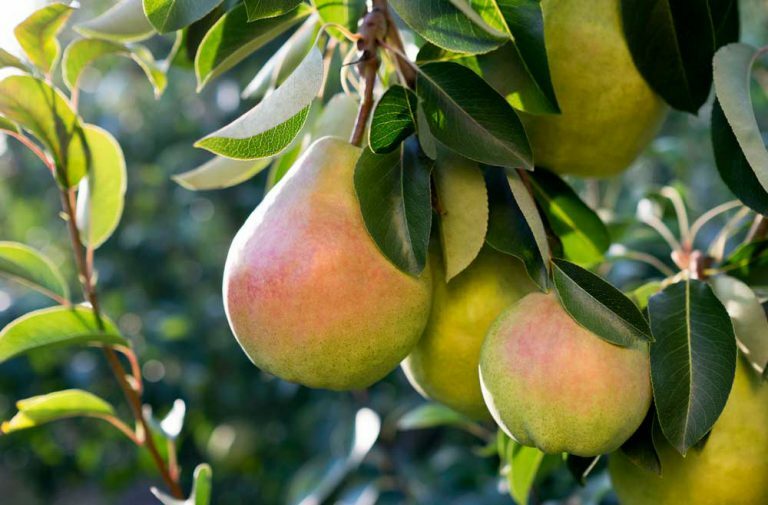 Why is it important to prune your fruit tree? Regular pruning started the first year the tree is planted leads to an all over healthier tree. Pruning allows to create a strong and proper root system and framework to support your tree for future fruit production, to direct the growth of the tree into an optimal size and shape, promoting fast regrowth in the spring, alleviates overcrowding, increases the amount of air circulation and sunlight into the tree which helps control pests and disease, ensures a higher-quality of fruit, and allows fruit trees to live significantly longer. Why is March the best time of year to prune fruit trees? In the fall after your fruit is finished for the season the trees start to settle into dormancy for the winter. The tree stashes its excess nutrients/sugars from the leaves in its roots, causing the leaves to turn colour and fall off. If you prune your tree at this time you will stimulate growth just before the tree is getting ready to be dormant. The sap will rise from the roots in the tree and with the temperature dropping this can cause the plant to suffer, and even die. If your plant doesn’t die, it will certainly be weaker come spring. If you prune your trees in early winter you are leaving wounds on the trees that won’t be repaired on the tree until it starts coming out of dormancy and growing in the spring. Which can cause permanent damage to the tree. Pruning fruit trees after they have started to bud will slow down their growth and will result in a smaller amount of fruit developing. Pruning in March (later winter/early spring) is the best time for your trees. Your tree is bare of leaves which allows you to see dead, diseased or broken limbs better, able to see the shape your tree, and it is right before it comes out of dormancy which will allow your tree to heal wounds from pruning quickly as it starts growing. If you don’t feel comfortable pruning on your own, hiring a company such as Windermere Garden Centre is always an option. However the process of pruning your fruit trees is not hard to do on your own, when you know how to use your tools and saws properly. Here are some simple steps to follow. First you want to make sure you have a sharp pair of shears. Pruning shears are used on limbs less than a half inch in diameter, lopping shears should be used for bigger cuts and a pruning saw is for the bigger limbs. It is suggested to sanitize your tools, this will help to prevent infection disease and to re-sanitize when moving from one tree to the next. © 2018 Windermere Garden Centres. All rights reserved.